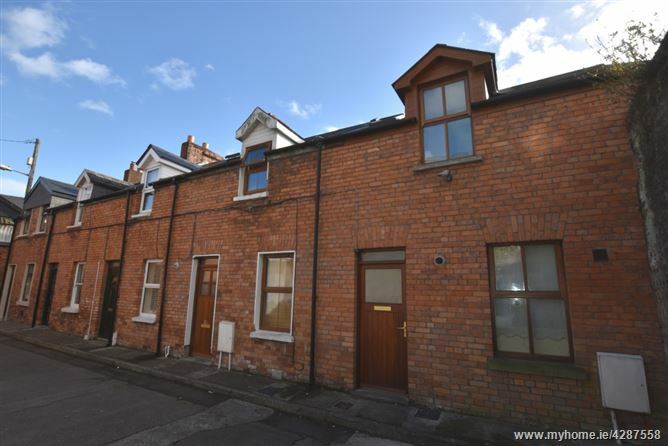 A lovingly restored and a impeccably maintained two bedroom terraced property which is positioned in a quiet cul-de-sac location and within a 5 min walk of Cork city centre. Accommodation consists of reception hallway and magnificent open plan living kitchen/dining/living area on the ground floor. Double doors to the rear of the room lead to a patio area with stunning city centre views. Upstairs the property boasts two spacious double bedrooms and a modern fitted bathroom. The master bedroom allows access onto a magnificent balcony that also offers panoramic views of Cork city centre. Viewing highly recommended. A teak door with glass top paneling allows access into the main reception hallway. The property has a rear balcony that is finished in a Chinese slate tile and secure timber fences surround the balcony. A storage shed is also positioned in the patio area and is included in the sale. The first floor also has a superb balcony that has a South-facing aspect with panoramic views over Cork city centre. The area has secure railings throughout and has a fibre glass finish. The hallway has superb modern tiling and a exposed painted brick feature wall. A walnut door with frosted glass paneling allows access into a magnificent open plan kitchen/dining/living room. Located at the front of the property the kitchen is a modern fitted kitchen in a U-shape with extensive worktop counter space and storage at eye and floor level. The area has a tiled splash back, one window to the front of the property with a roller blind and tiled flooring. The kitchen has an integrated oven, hob, extractor fan, plumbing for a washing machine, space for a fridge freezer and the gas boiler is located here. Other features include recessed spot lighting and six power points. The dining area is finished to to a high standard with high quality laminate walnut timber flooring. The area has one large radiator, recessed spot lighting, two power points, extensive dining space and stylish décor. The living area offers a continuation of the walnut timber flooring, recessed spot lighting and double doors allow access to a superb balcony. The room includes two large radiators, nine power points and three television points. The stairs has been fitted with a luxurious high quality timber flooring, two feature centre light pieces within the stairwell, two power points, one smoke alarm, and access to the attic is gained from the landing area. A magnificent double bedroom with double doors that allow access onto a superb raised patio area with superb panoramic views over Cork city. The room itself has stylish décor, recessed spot lighting, new carpet flooring, one large radiator, nine power points and one television point. A spacious double bedroom with one window to the front of the property. The room has luxurious modern décor with high quality carpet flooring. Features include one centre light piece, one large radiator, two phone points and four power points. The family bathroom features a two piece suite and a large corner shower. The room has modern tiling from floor to ceiling, one Velux window to the front of the property, one recessed spot light, one centre light piece and one radiator. Potential rental income of €1,500 p.m.